DigitSpark comes out with some important and useful tips for keeping your blog more safe and secure as well as growing up its viewership and building traffic. 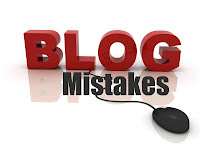 Everybody makes blog and in the excitement sometimes little but bigger mistakes are committed on the blog. As a result many of us loose their blog and some has no more efficient blog which is viewed by many people. In our mind some question do come related with this topic like which mistake i did? which are factors that directly affect our blog? which are important point to remember by one who create blog?,etc. For all these questions let's check solution which is given below. There is no doubght at the beginning everybody writes and update blog very good manners. But after two or three week this work comes down and blog is updated hardly. This lack of update the blog is directly affects the blog viewership. Else your blog may loose the webmaster's or the search engine crawl. The attitude doesn't matter that you post 10 posts in 1 day and post 1 post in 10 day. But the thing which I want to tell you that "Make Commitment to keep your blog updated". Everyone who create blog and work in blogging they must have read this point. Many of us work in blog only for one reason that is earn money.Those who work in blog only for this particular reason, 99% of them cannot make more than 100$ in a month.Remember that if your aim is to become rich by blogging as soon as possible, you will fail. 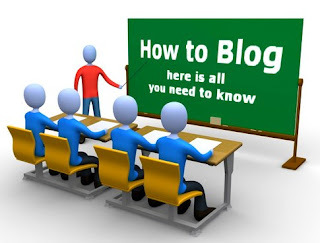 After making blog this step is very important to make blog very unique and effective. Sometimes we forget to check the post/articles which we want to post and we publish it. Before you hit the publish button you should take time to check post and make sure it is error less. If there are any error before or after publishing the articles/posts then please correct it immediately. Many of us write post such a way that it is called as news.com or CNN. Remember one thing people come and read your blog to get your opinion so please write and post your posts in blog according to this point. Be careful about that your blog will not become CNN or news.com. Just ask this question in your mind is my blog unique or just only copycat ?. If its answer is copycat then be aware of it and change this manner. You should add your own views to make blog unique. please don't copy and paste what other blogs posted. The most and most unique thing about your blog is you. This point is very useful to increase your blog viewership/traffic . Many bloggers forget to reply the comments which is wrote by people. When reader comment in your blog please reply to his/her comment and i am sure this will help to your blog traffic and people will get engaged to your blog. Fit one thing in your mind this is not competition in blogging.So best way to get your blog noticed is by reading other's blogs. Also comment on other's blog and they will search your blog in future. By doing this thing sometimes you find some great blogs also. Many bloggers writing and posting their post in blog for Google. They think Google will visit my blog. This kind of bloggers should remember the most important thing is Google follow people. People never want to read the pages in blog which is written for search engine because these pages makes no sense. So when you post in blog then follow this People come first,Google comes second. Blogs have become really popular nowadays. One of the most popular trends is also essay writing. However it's rather difficult if you don't have enough creativity. For such situations https://thepaperwriting.com/term-paper-writing may really help you.